The finest beef from Vermont’s most fertile valley. Brian and Breya Leach began Haystack Farmstead together in 2016, and welcomed their son Orrin in 2017. 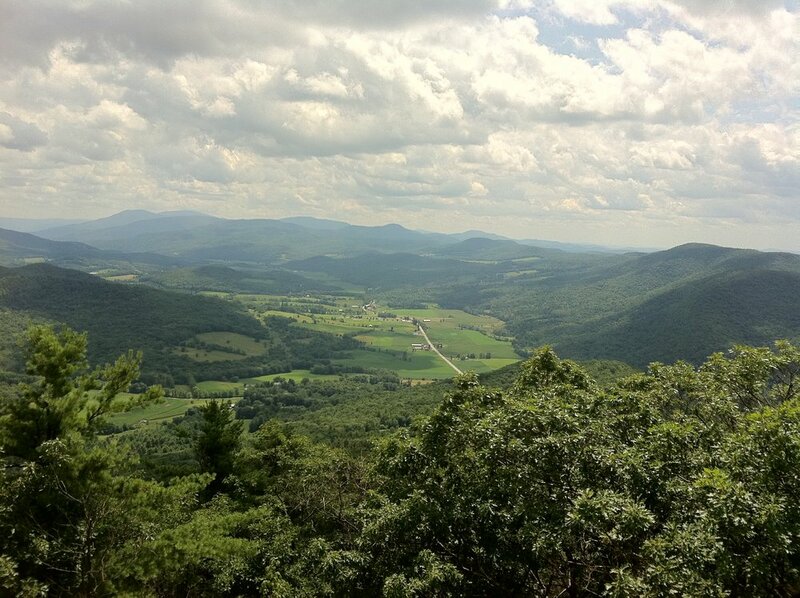 Taken from the summit of Haystack Mountain, this picture shows the beauty of the Mettowee Valley; home to Vermont’s richest soil and scenic hillside pastures. You will love cooking with our meat. It is delicious, always of the highest quality and always from our pastures. Pasture-based husbandry is a simple approach to raising cattle: Put the animals in a situation where they can thrive and be healthy. No supplements, no antibiotic feeds, just grass and clean air. Every day, the animals are put onto fresh, leafy, grass stands that are rich in nutritional value. We love our animals, but understand our respective places on the food chain.